One or more photo(s) has been virtually staged. 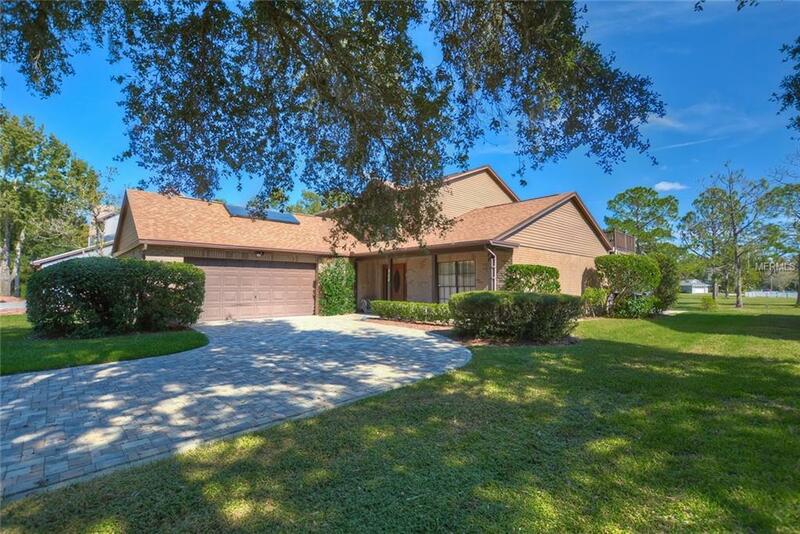 Spectacular Northdale Golf Course Pool home.. 4 bedroom, 3.5 bath home with LOFT PLUS BONUS ROOM, oversized 2 car garage and large screened pool with pavered lanai and pool deck. Features include wood floors throughout except wet areas which are tile, wrought iron banisters and wood steps lead upstairs. There are new textured ceilings throughout & the interior & woodwork have been freshly painted and stained. The remodeled eat-in kitchen opens to the family room with brick fireplace and features wood cabinets and quartz counters, large island and all appliances are included ( refrigerator is almost new). There is a bonus room with built in bookcases off the family room, perfect for home office/study/playroom. French doors lead to a large covered lanai with cabinets and new sink and faucet. Kitchen has pass through to this area. Upstairs there is a loft with charming window seat & closet. Two of the bedrooms share a Jack N Jill bathroom with dual sinks & both have access to the upstairs screen lanai and deck! There is also a full bath adjacent to the 3rd bedroom. The downstairs master suite has a remodeled bath with dual sinks, solid surface counters and under mount sinks, jetted tub and separate shower with new wall tile and large walk in closet. The roof is NEW July of 2017! Across from the house is pond and conservation and behind the house is the Golf Course!! Just down the street is the entrance to Lake Park Trail! Northdale has a YMCA, Rec Center, Whole Foods, Golf, Tennis & more. Additional Lease Restrictions Verify in Deed Restrictions. Pet Restrictions Verify in Deed Restrictions.